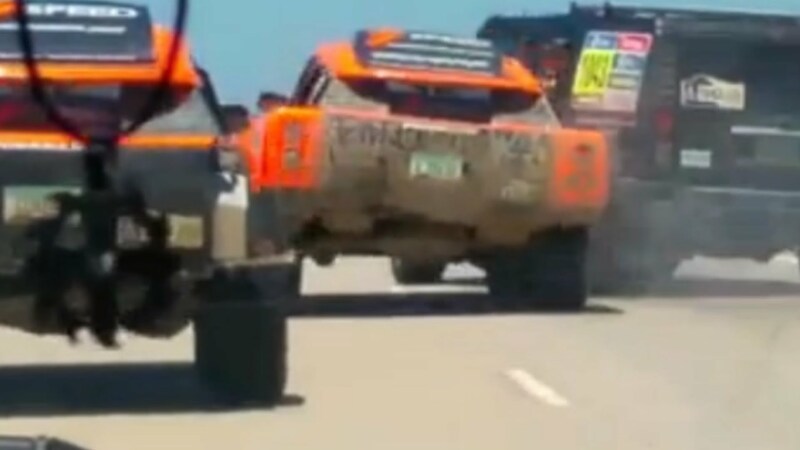 Home ♦ Off-Road ♦ WTF Robby Gordon! Robby wasn’t having his best year at Dakar 2016 but he was about to finish and simply finishing Dakar is an amazing feat by itself. The accident happened after the final 13th stage. You have to wonder what was being handed into the car that was so important? Why wasn’t there time on the transit for quit stop? The video abruptly ends as the cars hit, but the videographer’s account on Infobae notes that the H2 turned onto its side following the accident. Autoblog reports that while there were two injuries as a result of the accident, they were minor and everyone will likely recover. I am huge Robby Gordon fan. Find me another American building his own trucks to take on the best in the world at Dakar. Even if he can be a bit rough around the edges during his race interviews you have to love that he’s always pushing the limits. Hopefully he redesigns the Gordon and comes back to take on Peugeot and Mini in 2017.